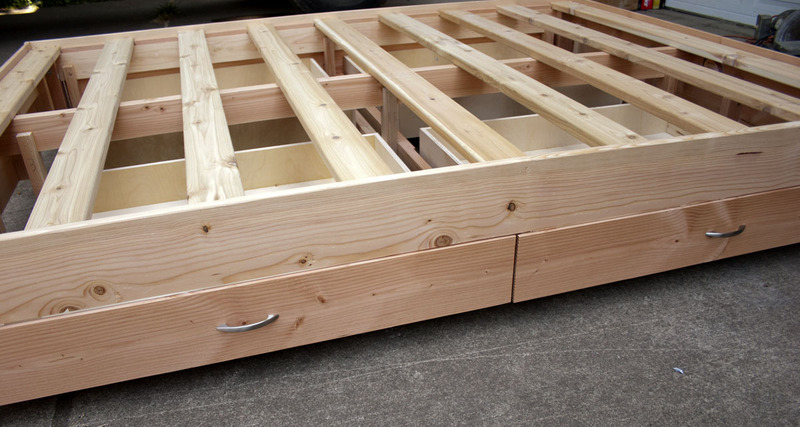 Drawers are a handy option that can be added to our bed frames. 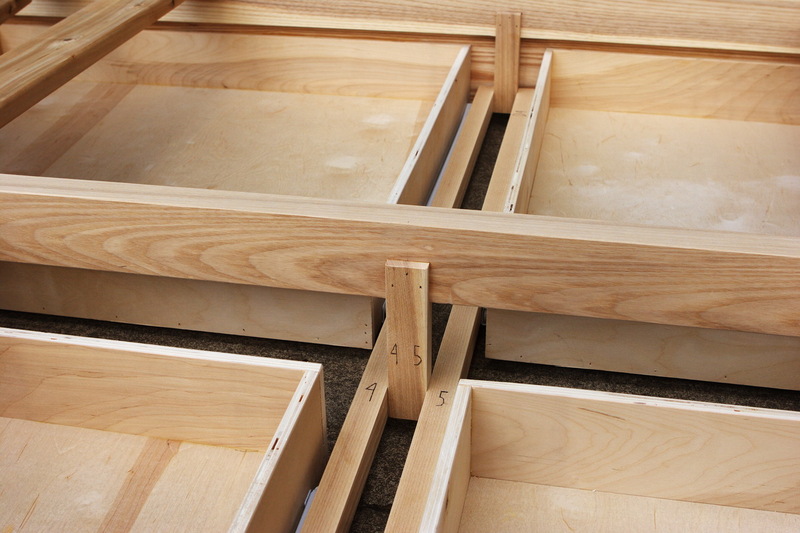 Unlike many frame designs, ours are real drawers, not boxes on wheels on the floor. 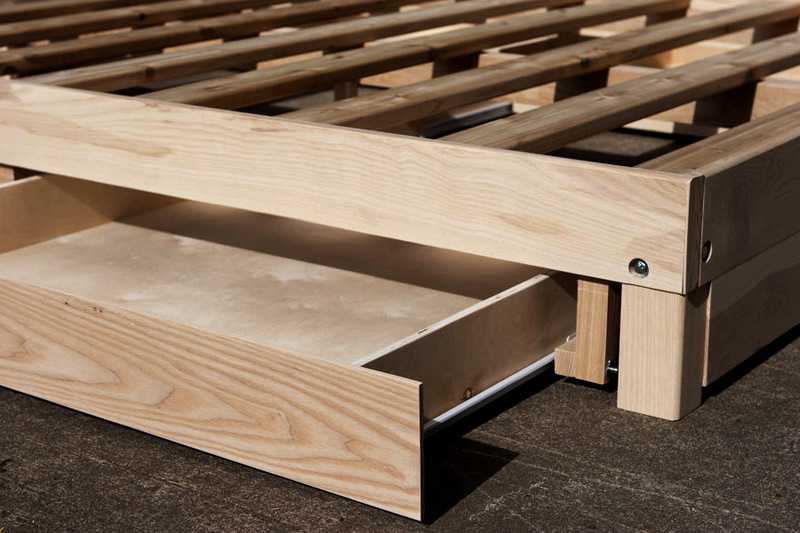 They are made of 1/2″ thick plywood, including the bottoms (not the usual 1/4″ fiber board), held together with glued and nailed biscuit joints, not staples. 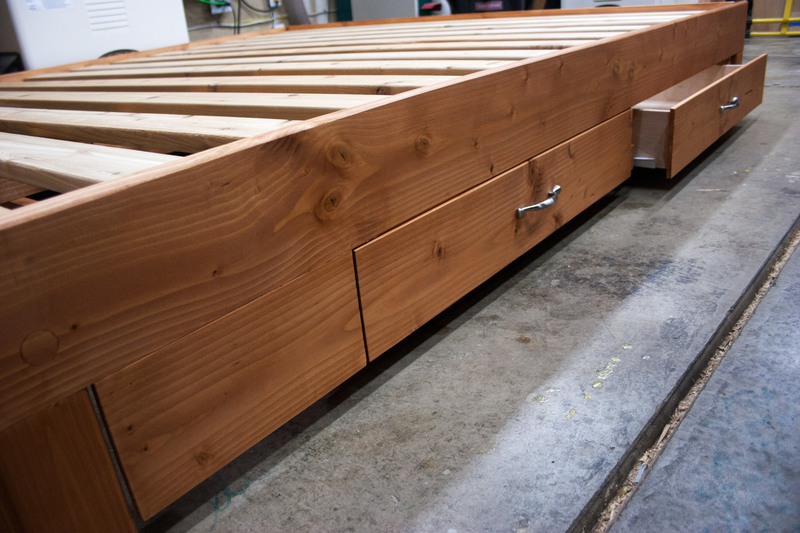 To keep the frame looking nice, each drawer has a false front made of the same wood as the rest of the frame, and the end rails have filler panels to hide the drawers. 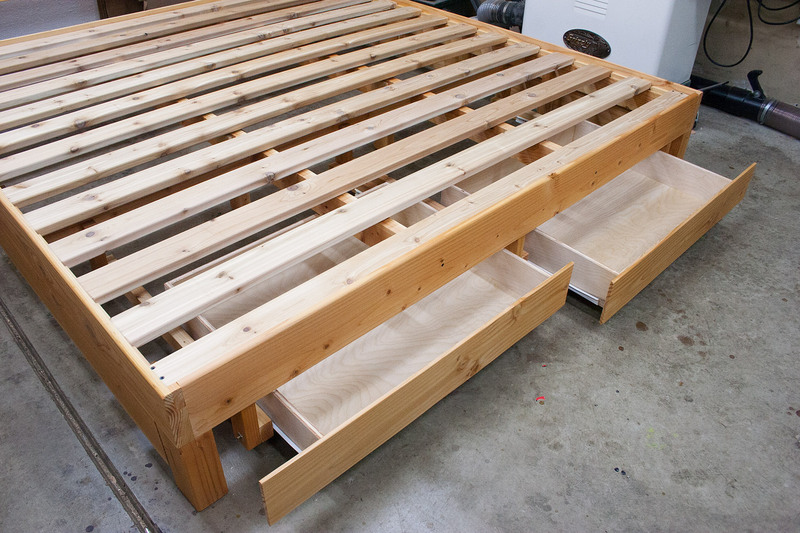 The drawers roll on metal slides, and their support assemblies bolt onto the frame easily using the same fasteners as the rest of the frame, so putting together a frame with drawers isn’t much more work than one without them. 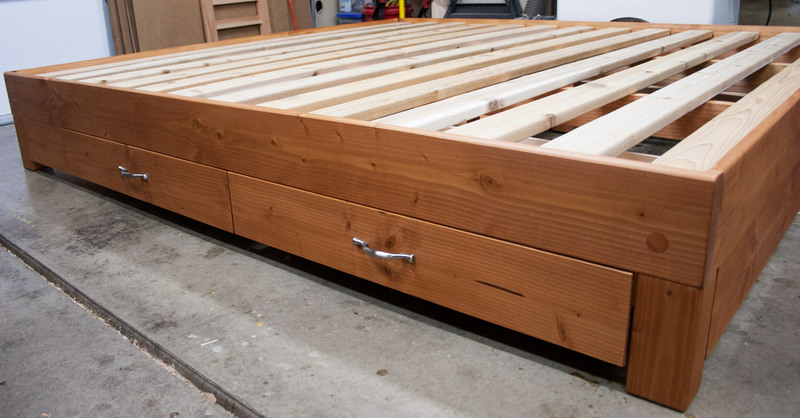 Drawers take a ton of time to build and are very sturdy so they aren’t cheap; figure that adding them doubles the price of a basic frame (less on twin sizes). 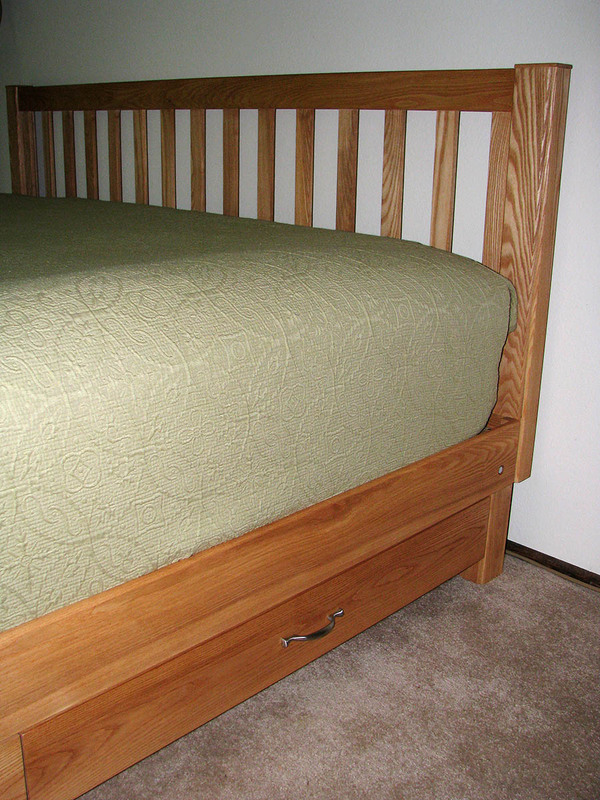 Included in the drawer option is your choice of metal handles or wooden knobs. 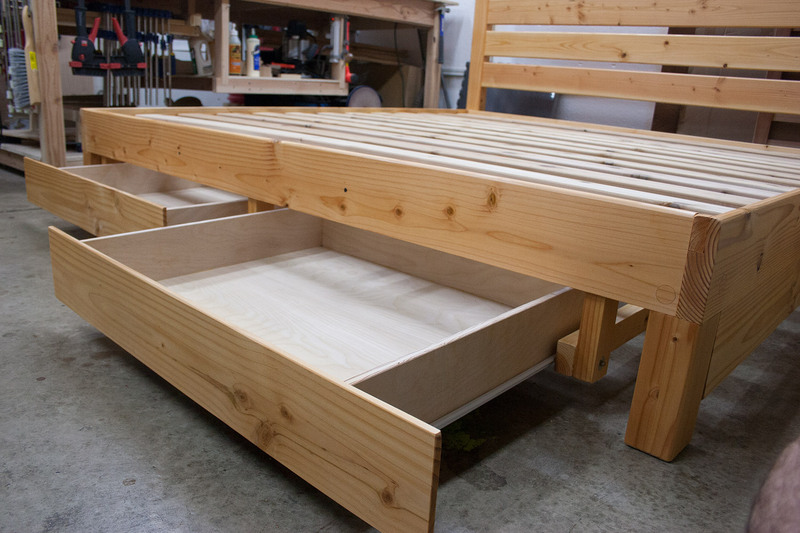 The standard drawer option includes four drawers on king, queen, and full/double sizes, two on twins. 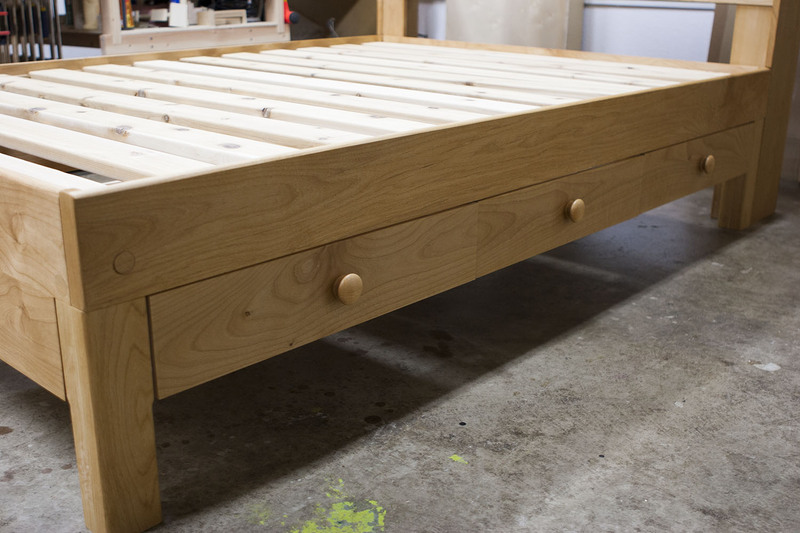 We can customize your frame to have different numbers of drawers, to make the drawers start further down the frame to account for night stands, or other desires you may have. 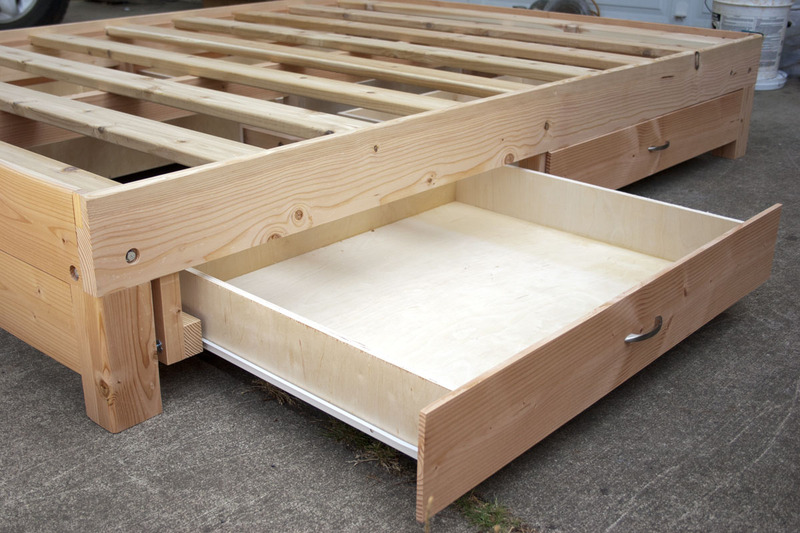 Two newer options for drawers are: 1. tall drawers, which are about twice as high as regular drawers, which doubles their storage space and 2. removable internal dividers, which makes drawers have more than one compartment inside. 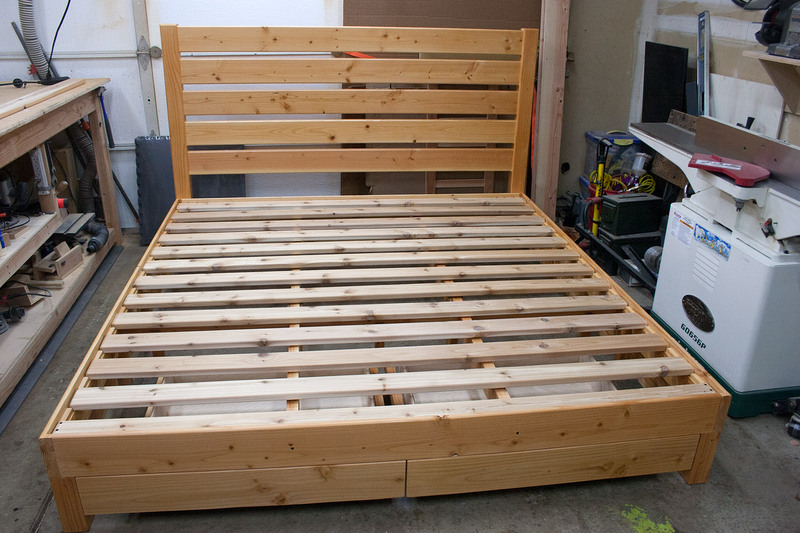 You can read more about these options here.